← Stylish Shine or Bright Bulge? You’ve finally found it, the perfect dress! You’ve scurried all over town, tried on innumerable skirts, pants, cardigans, blouses, searching for the perfect outfit for your special occasion, and you’ve finally found it. Now, only one question is left unanswered, what shoes to wear? For, as the factual saying goes “the right shoe completes the outfit”. Search no longer! The simply chic ballet flat is the ideal shoe for any occasion. Whether dressing up for a night on the town or in a sundress for a day at the park, the ballet flat is right for you. From Abigail Adams’ “evening slippers” to Michelle Obama’s “ballet flats”, the first ladies have worn these shoes for many years. They have been worn to ritzy balls in the White House, on campaign trails speaking to the public and out to picnics with the first family. When choosing your flat, the decision of the color, print and fabric should be based on where you will be wearing these shoes. Choose a solid patent finish for a fancy event, pick a metallic color for the town or be ready for fun in the sun with a bright plaid. 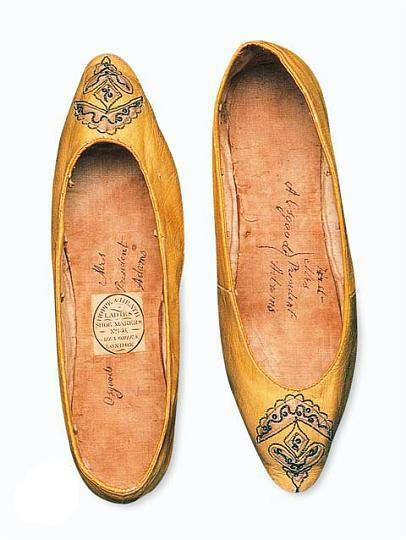 When completing your outfit and in doubt, go to the shoe that never makes a mistake, the ballet flat. This entry was posted in Former First Ladies, Michelle Obama. Bookmark the permalink.